According to the National Communication Association, communication is a diverse discipline that promotes the effective and ethical practice of human communication. Communication professionals are highly valued in a variety of contexts because they possess the strategic skills to effectively engage with others at interpersonal, small group, organizational, and intercultural levels. Communication professionals stand ready to adapt and thrive as technology changes, finding ways to successfully deliver their message in a media-rich society. When considering an online degree program in Communication Studies, take into account your desired career path, and look for specific degree concentrations that suit your goals. A bachelor’s degree in Communication prepares you with the understanding and application of theory for entry-level positions or advanced degrees. This versatile degree equips you with skills and knowledge for careers in business, politics, health care, human resources, education, military, nonprofits, law, ministry, journalism and consulting. Communication professionals hold jobs as directors, marketers, sales representatives, trainers, speakers, writers, social media managers, lobbyists, teachers, and more. From 2012-2022, employment in the field of Communication is expected to increase by 15%. According to the Occupational Outlook Handbook, the median annual pay for Media and Communication Occupations ranges from nearly $28,000 for Announcers to $65,500 for Technical Writers. In developing our Smart Choice ranking of the best online undergraduate communication programs we only considered online schools that are listed by the National Center for Educational Statistics and regionally accredited. The colleges and universities that met this initial criterion were then evaluated based on reputation, flexibility, accessibility, student satisfaction, and affordability. The result is a ranking that will surely help prospective students make a smart choice in finding of online bachelor’s in Communication program. In 1866, the Holston Presbytery in Northeast Tennessee asserted its vision to establish a school. Reverend James King donated land for the effort, and thus became the school’s namesake. Located in Bristol, Tennessee, this private, nonprofit university maintains its vision to grow as a Christian institution. King University has experienced enormous growth in the last 10 years, and enrolls just under 2,500 undergraduates. The university enjoys a student-to-faculty ratio of 11 to 1. Regional accreditation has been granted through the Commission on Colleges of the Southern Association of Colleges and Schools. Program Details: The School of Applied Science and Technology offers a 124-semester-hour degree completion program for a Bachelor of Science in Communication. This fully online program includes 49 hours in the major with fundamental topic areas in professional communication, media communication, interpersonal communication, leadership communication, advanced speech, visual rhetoric, and public relations. Applicants must have at least 45 semester hours to be admitted. Founded in 1902, Franklin University is a private, nonprofit institution in Columbus, Ohio. With over 4,500 undergraduate students, Franklin University is the second largest private university in Ohio. Sixty-five percent of undergraduates attend through distance-only means. The university maintains a low student-to-faculty ratio of 11 to 1. The Higher Learning Commission of the North Central Association of Colleges and Schools provides regional accreditation. Program Details: The College of Arts, Sciences and Technology offers a fully online degree program for a Bachelor of Science in Communications. Credentialed professionals teach classes in topics such as internal communications, marketing, message development, audience research, and more. Students learn to design complex communication plans for multiple print and digital mediums and participate in real-world scenarios with business-like work groups. Multiple start dates are available throughout the year, with flexible paces. Tuition costs $484 per credit hour. The University of Memphis is located on a 1,607-acre campus in a quiet, residential neighborhood of Memphis, Tennessee. UofM began in 1912 as a normal school. This four-year, public institution of higher learning now enrolls over 17,000 undergraduates and boasts a 14:1 student-to-faculty ratio. Regional accreditation is provided by the Commission on Colleges of the Southern Association of Colleges and Schools. Program Details: A Bachelor of Arts in Communication degree from the College of Communication and Fine Arts prepares students for professional careers or advanced graduate study. Upon completion of the program, students will more fully understand the application of effective communication in a variety of contexts. Courses are available fully online. Industry-savvy University of Memphis faculty developed the curriculum. Most courses are asynchronous, though some courses may have synchronous components. The degree requires the completion of 120 hours. Kaplan University is a private, for-profit institution based out of Davenport, Iowa, with 15 locations across the United States. Kaplan University is part of Kaplan Higher Education LLC, and traces its roots to the founding of the American Institute of Commerce in 1937. The university began offering fully online programs in 2001. Over 40,000 total students attend Kaplan University, and 94% of students complete coursework through the online programs. The average undergraduate class size is 22. The Higher Learning Commission of the North Central Association of Colleges and Schools has granted regional accreditation. Program Details: Students learn both theory and application, and develop strong oral, written, and interpersonal communication skills for any career path through the online degree program at Kaplan University for a Bachelor of Science in Communication. Major Credit courses include topics such as interpersonal skills, public speaking, technical communication, conflict, psychology, group dynamics, and digital age tools. The Standard Track takes four years to complete, for 180 total Program Credits (33 Core Credits, 88 Major Credits, 59 Electives Credits). An Advanced Start Track is available for students who transfer in 90 credits with specific prerequisites. Multiple start dates are available throughout the year. Tuition costs $371 per credit with military discounts available. The University of Arkansas at Little Rock is one of six universities in the University of Arkansas system. Founded in 1927 as Little Rock Junior College, UALR is now a metropolitan research university on 283 acres in the city. This four-year, public university enrolls over 9,000 undergraduates who enjoy a 14:1 student-to-faculty ratio. The Higher Learning Commission of the North Central Association of Colleges and Schools provides regional accreditation. Program Details: The College of Social Sciences and Communication offers a Bachelor of Arts in Speech Communication through UALR’s Accelerated Online Program. The degree prepares students with skills in interpersonal and public communication for a multitude of professions. Students must complete 18-21 hours of University Standard Core Courses, 14 hours of College Core Courses, and 34 hours of Required Courses for the major. Applicants should have at least 12 semester hours of credit with a minimum 2.0 GPA, including lower level Composition and Speech Communication courses. The degree requires at least 120 credits, including an intercultural communication competency requirement, which can be fulfilled through language courses, studying abroad, or courses from a Minor in Race and Ethnicity. Tuition costs $260 per credit hour. Founded in 1890 as a business school, Post University is a private, for-profit institution and a wholly owned subsidiary of Post Education, Inc. The university is located in Waterbury, Connecticut, though 89% of its 7,500+ undergraduates attend through its Online Education Institute. Post University considers itself a pioneer in online and hybrid learning, offering a student-to-faculty ratio of 21 to 1. The university has earned regional accreditation through the Commission on Institutions of Higher Education of the New England Association of Schools and Colleges. Program Details: The online program from the School of Arts and Sciences culminates in a Bachelor of Arts in Communication and Media Studies degree. Curriculum is designed to prepare students for a variety of career paths by equipping them with skills to stay ahead of the constant technological advancements that affect communication every day. The degree contains a choice of concentrations in Media Arts or Organizational Communication. Courses run in eight-week accelerated modules with six start dates per year. A bachelor’s degree can be completed in as little as two to three years. Tuition costs $570 per credit hour. University of Maryland University College is located just north of Washington, D.C., in Adelphi, Maryland. UMUC is a member of the University System of Maryland. As the largest public university in the country, UMUC enrolls over 35,000 undergraduates, 80% of whom attend solely through distance education. The student-to-faculty ratio hovers at 22 to 1. Regional accreditation is provided by the Middle States Commission on Higher Education. Program Details: A Bachelor of Arts in Communication Studies degree is available online through the Liberal Arts and Communications Program at UMUC. This program provides a firm base in communications theory and practice for both personal and professional situations. It includes 33 credits in the major, with courses in topics such as oral and visual communication, news writing, mass communication, and mass media law. A Senior Seminar in Communication Studies completes the major. Recommended minors are available in Law for Business, and Business Administration. Tuition costs $499 per credit for nonresidents. Dallas Baptist University is a private, nonprofit academic institution in the hills of Southwest Dallas, Texas. Founded as Decatur Baptist College in 1898, this Christian university’s mission is to provide Christ-centered quality higher education. Currently, just under 3,500 undergraduate students call DBU home and enjoy an admirable 13:1 student-to-faculty ratio. Sixteen percent of undergraduates are enrolled in distance education only. The Commission on Colleges of the Southern Association of Colleges and Schools provides regional accreditation. Program Details: Students at the College of Professional Studies can earn a Bachelor of Arts and Sciences in Communication degree through a fully online program. The degree requires 120 total credit hours, with 30 credit hours in the Communication Major. Required Communication credits include courses such as Speech and Interpersonal Communication, Desktop Publishing and Design, Social Media, and Leadership Communication. Uniquely, some courses have field-based service-learning components. Communications students must maintain a minimum 2.0 GPA. Tuition costs $813 per credit hour. In 1970, two teachers founded Walden University as a student-centered university focused on positive social change and accessibility for working professionals. This private, for-profit institution of higher education is located in Minneapolis, Minnesota, and enrolls just under 9,000 undergraduate students. The student-to-faculty ratio is 17 to 1. Regional accreditation is provided by the Higher Learning Commission of the North Central Association of Colleges and Schools. Program Details: A Bachelor of Science in Communication degree from Walden University contains coursework grounded in the latest practice and theory. The program takes 48 months to complete the required 181 quarter credit hours. Optional concentrations include Emerging Media, Health Communication, Management and Organizational Communication, Marketing Communication, Political Communication, Public Relations. Students can also opt to craft an individualized concentration from Communications courses or other areas of study. A Bachelor of Science in Business Communication degree program is also available online. Tuition costs $320 per quarter hour. Florida International University is Miami’s only public research university, and was founded on an abandoned airfield in the 1960s. FIU enrolls over 41,000 undergraduates. Eleven percent of undergraduates take courses solely through distance education. The student-to-faculty ratio is 26 to 1. The Commission on Colleges of the Southern Association of Colleges and Schools provides regional accreditation. Program Details: Students can earn a Bachelor of Arts in Communication Arts through the College of Architecture and the Arts’ online degree program. This 120-credit foundational degree enables students to pursue careers in business, government, nonprofits, and education, or to continue toward advanced degrees. Sixty credits are required in the Communication Arts track, in courses such as Persuasion, Communication Theory, and Conflict Management. Every online student is paired with a success coach. Freshman and transfer students are welcome to apply. Tuition costs $333 per credit for out-of-state residents. Pace University began in 1906 when the Pace brothers founded schools of accountancy and business. The first class had 13 students. Now, Pace University is a private, nonprofit university located in New York, New York. The university enrolls over 8,500 undergraduates who completed a competitive application process. The student-to-faculty ratio is 14 to 1. Pace University is ranked #10 in Best Online Bachelor’s Programs by U.S. News & World Report. Regional accreditation has been earned through the Middle States Commission on Higher Education. Program Details: The Dyson College of Arts and Sciences offers a 100% online degree completion program for a Bachelor of Science in Professional Communication Studies. Required Communication courses comprise 41 of the 120 credits needed for the degree. Courses include Web Authoring and Digital Media, Introduction to Mass Media, Pragmatic Communications, and more. Applicants must provide a professional resume, official transcripts, and proof of a high school diploma or equivalent. Tuition costs $555 per credit. The University of Colorado Denver is a public urban research university located in downtown Denver, Colorado, just minutes away from the Rocky Mountains. CU Denver originated in 1912 as an extension of University of Colorado Boulder. Now, the downtown campus hosts nearly 10,000 undergraduates who enjoy a 16:1 student-to-faculty ratio. Regional accreditation is provided by the Higher Learning Commission of the North Central Association of Colleges and Schools. Program Details: The Department of Communication in the College of Liberal Arts and Sciences offers an online program for a Bachelor of Arts in Communication degree. This program aims to equip students for a variety of fields, including advertising, public relations, business, education, public service, and healthcare. The curriculum is designed to counteract contentious interactions common in today’s world. The degree requires 120 total credits, with 39 credits in Communication. Internships are available for online students. Nonresident online tuition costs $454 per credit for underclassmen and $467 per credit for upperclassmen. Aurora University is a private, nonprofit institution of higher learning located in Aurora, Illinois, just 40 miles from downtown Chicago. What began as a seminary in 1893 has now become a university with a broadened mission and expanded curriculum, and just over 3,200 undergraduates. Two campuses comprise AU: 37 acres in Aurora, and 137.5 acres in Williams Bay, Wisconsin. The student-to-faculty ratio is 15 to 1. Aurora University has earned regional accreditation through the Higher Learning Commission of the North Central Association of Colleges and Schools. Program Details: The Department of Communication at the College of Arts and Sciences offers an online adult degree completion program for a Bachelor of Arts in Integrated Communication. The program is designed to boost students’ skills in speaking and writing, developing successful messages across a variety of platforms, and solving real-world problems in communications. The degree requires 120 semester hours, with 40 hours within the major. Applicants must show two years demonstrated work experience, 15 semester hours of credit with a minimum 2.0 GPA, and official transcripts. Online minors are available in Business or Criminal Justice. Philadelphia University began in 1884 as the Philadelphia Textile School with the intent to educate textile workers and managers. Sited on a 100-acre park-like campus in Philadelphia, Pennsylvania, this private nonprofit university provides a transdisciplinary environment where a variety of study areas can be woven together to fit a student’s passions and professional goals. Commonly called PhilaU, the institution enrolls nearly 3,000 undergraduates who enjoy a student-to-faculty ratio of 13 to 1. Regional accreditation has been earned through the Middle States Commission on Higher Education. Program Details: A Bachelor of Science in Professional Communications and Emerging Media can be acquired through an online degree program supported by the College of Science, Health and the Liberal Arts. Students gain knowledge and skills to effectively handle new and traditional media for organizations. The degree program is designed for professional adults who want to advance their careers, and includes courses with topics in social media, writing for the web, public relations, and media writing. Terms last eight weeks. Students may transfer up to 72 credits. Tuition costs $680 per credit. Roosevelt University began in 1945 with a vision to provide higher education opportunities to all students regardless of race, gender, or socioeconomic status. This private, nonprofit university in Chicago, Illinois, now enrolls just under 3,800 undergraduates and boasts a low 11:1 student-to-faculty ratio. The Higher Learning Commission of the North Central Association of Colleges and Schools provides regional accreditation. Program Details: The Communication Department in the College of Arts and Sciences offers a Bachelor of Arts in Organizational Communication through a Flex-Track online program that allows adults to earn their degree at an accelerated pace through eight-week courses. Curriculum focuses on organizational behavior with an emphasis on virtual communication. Students learn problem-solving and decision-making skills for real-world application. The program includes required courses such as Organizational Communication I and II, Media Writing, Persuasion and Presentation Skills, and Social Media Strategies. The University of Southern Maine, with three campuses located in the state’s most populous regions, is known as Maine’s metropolitan university, and traces its roots back to 1878. Over 6,500 undergraduates attend this four-year, public institution. The student-to-faculty ratio is 15 to 1. Regional accreditation comes from the Commission on Institutions of Higher Education of the New England Association of Schools and Colleges. Program Details: The Communication and Media Studies Department offers an online program for a Bachelor of Arts in Communication degree. The curriculum in this program examines communication theories and their many applications in personal, group, organizational, and intercultural environments. Students must have a minimum of 120 credits to earn this bachelor’s degree. The 36 credit hours in Communication Major Requirements include nine hours of Common Core, nine hours of Communication Theory, six hours of Media Theory, six hours of Senior Experience, and six hours of Electives. The State University of New York at Oswego, commonly known as SUNY Oswego, is one of 13 university colleges in the SUNY system. This four-year, public university sits on 690 acres next to Lake Ontario in north-central New York. Over 7,000 undergraduates call SUNY Oswego home. The student-to-faculty ratio is 18 to 1 and the Middle States Commission on Higher Education provides regional accreditation. Program Details: Through the SUNY Learning Network, the School of Communication, Media and the Arts offers an online degree in Broadcasting and Mass Communication for students who have already earned an associate degree in a relevant field of study. All Upper Division courses are available online, including electives and required courses outside the major. This degree prepares students to enter a variety of positions in broadcasting, advertising, business, public relations, and journalism. Full-time students may complete the degree in two years. However, the program is aimed primarily at part-time students taking six credit hours per term. Founded in 1914, Colorado Christian University is a four-year, private, nonprofit institution of higher education in Lakewood, Colorado. CCU has a suburban campus, learning centers in six cities, and online learning. An interdenominational Christian university, CCU enrolls over 5,300 undergraduates and reports a student-to-faculty ratio of 14 to 1. Regional accreditation is provided by the Higher Learning Commission of the North Central Association of Colleges and Schools. Program Details: The College of Adult and Graduate Studies offers an online degree program culminating in a Bachelor of Arts in Communication Studies. This program is designed for adult students with prior work or college experience. Topics cover theory and application of communication, interpersonal and organizational communication, and the impact of social media and new technologies. All five-week courses weave a Christian worldview which addresses ethics and truth in communication. This 120-credit degree leads to employment in fields of business, advertising, radio, journalism, and politics. Tuition costs $523 per credit hour. Military service members and dependents receive discounted rates. Central Penn College traces its history to the foundation of Pennsylvania Business College in 1881 and an ongoing tradition of career-focused education. Located in the large suburb of Summerdale, Pennsylvania, Central Penn College is a private, for-profit institution with over 1,200 undergraduates. Online courses began in 2004. There are 13 students to every faculty member. The Middle States Commission on Higher Education provides regional accreditation. Program Details: Central Penn College offers a fully online Bachelor of Science in Corporate Communications degree program. This program focuses on business-oriented communications and offers hands-on training. Students develop marketable skills in radio, television, public relations, and writing. Courses teach communication skills for speeches, presentations, and interviews, as well as how to write and edit public relations material. Curriculum includes a formal communications project, the development and presentation of a professional portfolio, and a capstone course during which students design a research project and paper related to their career path. Regent University was founded in 1977 under the leadership of Christian evangelist Pat Robertson. This private, nonprofit institution seeks to be a center of Christian thought and action. Located in Virginia Beach, Virginia, Regent University enrolls over 2,300 undergraduates and reports a student-to-faculty ratio of 32 to 1. The university is ranked #11 in Best Online Bachelor’s Programs by U.S. News & World Report. Regional accreditation has been earned through the Commission on Colleges of the Southern Association of Colleges and Schools. Program Details: The Department of English and Communication Arts in the College of Arts and Sciences offers an online degree program leading to a Bachelor of Arts in Communication. Degree concentrations are available in Rhetoric and Public Culture, Strategic Communication, and Theatre. The eight-week courses examine the role of communication in all areas of life, and include the impacts of social media and advances in technology. The 120-credit degree includes 49 credit hours of General Education, 15 credit hours of Communication Core, 21 credit hours in the Concentration and 35 credit hours of Electives. Tuition costs $395 per credit hour. Pennsylvania State University prides itself on a history of offering distance education, first through correspondence courses that began in 1892, and in online courses since 1998. The World Campus has over 7,200 undergraduates pursuing online degrees. Based out of University Park, Pennsylvania, this four-year, public university boasts a low student-to-faculty ratio of 12 to 1. The World Campus is ranked #1 in Best Online Bachelor’s Programs by U.S. News & World Report. The Middle States Commission on Higher Education provides regional accreditation. Program Details: Penn State World Campus partners with Penn State College of Communications to offer an online Bachelor of Arts in Advertising/Public Relations with an option in Strategic Communications. The curriculum in this degree program explores writing for the media, principles of strategic communications, communications law, research and social media strategies, all designed to teach students how to successfully develop and deliver effective content. Students will acquire skills in problem solving, communication, research, goal setting, evaluation, creative thinking, and cultural awareness. The degree requires 120 credits, including 45 general education credits, 24 Bachelor of Arts degree credit requirements, and 35 major credit requirements. Tuition varies based on the total number of credits obtained and the number of credits taken per semester. With a main campus in Bellevue, Nebraska, as well as satellite locations throughout the rest of Nebraska and into Iowa, South Dakota, and Wisconsin, Bellevue University provides higher education opportunities to over 6,000 enrolled undergraduates. This four-year, private nonprofit institution of higher learning offers a student-to-faculty ratio of 32 to 1. Bellevue University was founded in 1966 through the vision and determination of Bellevue’s Chamber of Commerce. Regional accreditation has been granted by the Higher Learning Commission of the North Central Association of Colleges and Schools. Program Details: Students at the College of Arts and Sciences can pursue a Bachelor of Arts in Communication Studies completely online. Curriculum is designed to provide students with professional knowledge and communication skills. Courses teach theory and application for oral and written communication. In addition to General Education Core requirements, students complete 36 credit hours of Major Requirements including courses such as Oral Communication Skills, Critical Thinking and Communication, Communication: Putting Theory into Practice, and Communication in the Digital Age. Tuition costs $395 per credit hour. East Carolina University lies in the small metropolitan city of Greenville, North Carolina. The university maintains three campuses: a 400-acre Main Campus in Greenville, a Health Sciences Campus, and a West Research Campus. A four-year, public institution, ECU enrolls over 22,000 undergraduates and reports a student-to-faculty ratio of 18 to 1. The Commission on Colleges of the Southern Association of Colleges and Schools provides regional accreditation. Program Details: The School of Communication offers an online Bachelor of Science in Communication degree program with concentrations in Interpersonal/Organizational Communication, Journalism, Media Production, Media Studies, and Public Relations. Students must obtain a minimum of 126 semester hours of credit to receive the degree and Communication majors must maintain a 2.0 GPA or better. The curriculum includes 12 semester hours of Core Communication courses and 30-36 semester hours in the Concentration area. An Honors Program offers outstanding students the opportunity to do intensive research in areas of special interest. Granite State College, located in Concord, New Hampshire, is one of four institutions in the University System of New Hampshire. This four-year, public institution of higher education sets its mission to serve adult students and be the state’s leader in online education. Over 1,800 undergraduates attend Granite State College and enjoy a student-to-faculty ratio of 12 to 1. Granite State College has earned regional accreditation from the Commission on Institutions of Higher Education of the New England Association of Schools and Colleges. Program Details: Granite State College offers an online degree program for a Bachelor of Science in Communication Studies. The program is designed to develop critical thinking skills and improve oral and written communication. Curriculum includes topics such as foundational theories, message creation, communication practices in organizations, rhetorical strategies, cultural differences in communication, research methodology, and ethics. Students may choose to double major to prepare for specific careers. This 120-credit degree program includes a Capstone project course. Tuition costs $325 per credit for non-residents. Founded in 1976 by professor/entrepreneur John Sperling, the University of Phoenix seeks to provide accessible higher education to working and underserved students. The University of Phoenix is a private, for-profit institution with campuses in 39 states in the United States. Central Administration is located in Tempe, Arizona; this location reports over 155,500 undergraduates enrolled, and the student-to-faculty ratio is 37 to 1, however, enrollment numbers and ratios vary greatly by state. Regional accreditation is provided by the Higher Learning Commission. Program Details: The College of Humanities and Sciences offers an online degree for a Bachelor of Science in Communication with additional certification options available. Students can choose a certification in Cultural Studies and Communication, Journalism, Leadership Communication in Organizations, Marketing and Sales Communications, or Communication and Technology. The degree requires a minimum of 120 credits. All courses are taught by faculty who work in the fields they teach and curriculum reflects industry standards. A University Enrollment Representative can confirm whether or not a particular program is available in your state. Tuition costs $410 per credit for Lower Level Courses and $630 per credit for Upper Level courses. Montana State University Billings is the state’s urban university, located in the largest city in Montana, on 98 acres under the famous Rimrocks. This four-year, public academic institution began in 1927 as Eastern Montana State Normal School. Today, MSUB hosts over 4,300 undergraduates and boasts a student-to-faculty ratio of 17 to 1. Regional accreditation has been earned through the Northwest Commission on Colleges and Universities. Program Details: The Department of Communication and Theatre in the College of Arts and Sciences has produced a Communication Arts degree program that is available completely online. Students can pursue a Bachelor of Arts in Organizational Communication or a Bachelor of Arts in Mass Communication. Either degree program requires the completion of 120 credits. The Organizational Communication option is designed to educate students in business and social service. Graduates seek advanced degrees in Communication or Law, or employment in positions such as managers, trainers, human resource officers, and corporate communication staff. This degree requires 45 credits in Communication Arts. The Mass Communication option is designed to examine the nature of mass media, both theoretical and applied. Graduates seek employment in positions such as public relations assistant, news reporter, fundraiser, copy editor, and journalist. This degree requires 48 credits in Communication Arts. Founded in 1826, Mississippi College is the oldest institution of higher learning in Mississippi and the second oldest Baptist university in the United States. This private, nonprofit college maintains a strong Christian vision. Located in the city of Clinton, a suburb of Jackson, the college enrolls just under 3,000 undergraduates and reports a student-to-faculty ratio of 15 to 1. The Commission on Colleges of the Southern Association of Colleges and Schools provides regional accreditation. Program Details: The Department of Communication in the School of Christian Studies and the Arts offers an intense, accelerated degree program for a Bachelor of Arts or a Bachelor of Science in Communication. This highly interdisciplinary program prepares students for positions in a variety of industries by developing skills in speaking, writing, and public presentation. Online bachelor degrees are also available in Journalism, Mass Media, Public Relations, and Sports Media. Students can take up to 12 hours per semester during two eight-week sessions. Tuition costs $412 per credit hour. The University of Texas of the Permian Basin is located in Odessa, Texas, a city ranked by Forbes magazine as one of the fastest growing small cities in the United States. The university began in 1973 offering solely Upper Level courses, then became a traditional four-year university in 1991. Part of the University of Texas system, UTPB enrolls over 4,500 undergraduates who enjoy a student-to-faculty ratio of 18 to 1. Regional accreditation has been earned through the Commission on Colleges of the Southern Association of Colleges and Schools. Program Details: The College of Arts and Sciences offers a Bachelor of Arts in Communication online degree program that can be completed in as little as 12 months. This fully online program provides a comprehensive overview of communication theories. Students may choose from six start dates per year and courses last eight weeks. The online program is as rigorous as on-campus courses. Core courses include topics such as Interpersonal Communication, Rhetoric in Western Thought, and Modern Media and Society. This program requires 120 credit hours to earn the degree. Tuition costs $276 per credit hour. 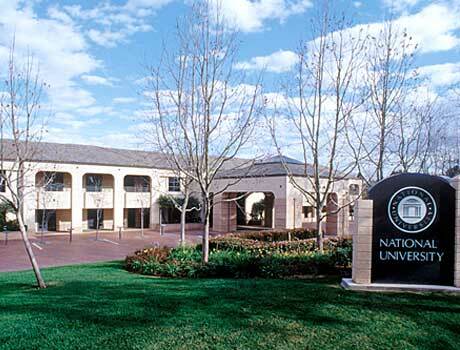 National University, headquartered in La Jolla, California, began in 1971 and is the second largest private, nonprofit institution of higher learning in California. Additionally, it is the flagship institution of the National University System, established in 2001. With five schools and one college, National University enrolls over 9,700 undergraduates. The student-to-faculty ratio is 20 to 1. The Senior College and University Commission of the Western Association of Schools and Colleges provides regional accreditation. Program Details: The Bachelor of Arts in Strategic Communications degree program from the College of Letters and Sciences prepares students for strategic thinking and message creation in leadership positions in a variety of industries. Students cover theory and hands-on application through this 180-quarter-unit degree program. Seventeen courses are required for the Major, including Interpersonal Communication, Intercultural Communication, Critical Thinking and Ethics, Professional Presentations, and a Communication Program Capstone. National University’s interactive courses are 100% online with tools to build community among students. Wilmington University is a private, nonprofit, nonsectarian university that began in 1968. The main campus lies near the cities of New Castle and Wilmington in Delaware. With its location in the northeast/mid-Atlantic corridor, Wilmington University caters to commuter students. Over 8,500 undergraduates attend here, and 41% of students take online classes. The student-to-faculty ratio is 17 to 1. Regional accreditation is provided by the Middle States Commission on Higher Education. Program Details: The College of Arts and Sciences, working with the College of Technology and the College of Business, offers an online degree program culminating in a Bachelor of Science in Communication. This program is designed to be practical and career-oriented. Concentrations are available in Integrated Marketing Communication or Media Communication. In the Integrated Marketing Communication track, students study and produce marketing, advertising, and public relations plans for today’s marketplace. In the Media Communication track, students learn to craft information in strategic and persuasive methods and interact with their audience. Students may transfer in up to 75 credits. Tuition costs $346 per credit hour. The University of Minnesota Crookston is a four-year, public university located in Northwestern Minnesota. Established in 1966, the Crookston campus is home to over 2,800 undergraduates and has a student-to-faculty ratio of 21 to 1. UMC is ranked #34 in Best Online Bachelor’s Programs by U.S. News & World Report. The Higher Learning Commission of the North Central Association of Colleges and Schools provides regional accreditation. Program Details: The Liberal Arts and Education Department offers a Bachelor of Science in Communication with fully online curriculum that is the same as on-campus courses. The degree program teaches communication theory and practice, with three areas of emphasis from which to choose. The Writing Emphasis focuses on the theory and practice of the craft. The Organizational Communication/Public Relations Emphasis focuses on communication with organizations and public constituencies. The Communication Studies Emphasis focuses on theory, practice, and critique of communication. To graduate with this degree, students must obtain 120 credits, including 63 required credits in the Major. Related double majors or minors include Entrepreneurship, Management, and Marketing. Tuition costs $391.54 per credit. Founded in 1871 as a teacher training school, Plymouth State University has a classic New England campus located in the quaint town of Plymouth, in central New Hampshire. This four-year public university is part of the University System of New Hampshire and is regionally accredited by the Commission on Institutions of Higher Education of the New England Association of Schools and Colleges. PSU enrolls over 3,700 undergraduates. Students enjoy a 16 to 1 student-to-faculty ratio. Program Details: The Department of Communication and Media Studies offers an online degree program for a Bachelor of Arts in Communication Studies with options in either Media Studies or Professional Communication. Media Studies prepares students for careers in fields such as journalism, media writing, and television. Professional Communication prepares students for careers in fields such as advertising, public relations, and marketing. Both programs require 120 credits to obtain the degree. Tuition costs $340 per credit for non-residents. Excelsior College, based in Albany, New York, provides higher education solely through distance learning opportunities. What began in 1971 as Regents External Degree Program has progressed over the years into a private, nonprofit, independent institution. Excelsior College enrolls over 38,000 undergraduate students who all attend part-time. Over 90% of Excelsior’s students are over the age of 25. The student-to-faculty ratio is 15 to 1. Regional accreditation is provided by the Middle States Commission on Higher Education. Program Details: The School of Liberal Arts offers a Bachelor of Arts in Humanities with a Communication Studies concentration. This degree provides a foundation of theoretical understanding along with practical communication skills. Curriculum requirements include courses in Humanities, Philosophy, Ethics, Research and Writing, and a Humanities Capstone. Additionally, students select a minimum of five out of nine available courses in Communication Studies. The degree requires 120 credits with a minimum 2.0 GPA. Tuition costs $490 per credit. Located in historic Boston, Massachusetts, Northeastern University is a global, experiential, research university. This private, nonprofit institution was founded in 1898 and features cooperative education that balances classroom study with real-world learning opportunities. Over 13,500 undergraduates attend Northeastern University; the student-to-faculty ratio is 14 to 1. Regional accreditation is provided by the Commission on Institutions of Higher Education of the New England Association of Schools and Colleges. Program Details: Online students at Northeastern University can earn a Bachelor of Science in Organizational Communication or Technical Communication. Both programs require 160 quarter hours and take four years to complete for full-time students. Organizational Communication emphasizes the principles and practices of communications in business and other organizations and includes a specialization in either “Corporate and Organizational Communication” or “Public Relations.” Technical Communication emphasizes the ability for professionals to successfully express complex technical ideas and includes 51 quarter hours in Major Courses. In both programs, tuition costs $378 per credit hour. Founded in 1915 with a home campus in Saint Louis, Missouri, Webster University prides itself on its global network of campuses and the global learning components in its curriculum. This private, nonprofit academic institution began as a Catholic women’s college, but today is non-denominational. Nearly 3,500 undergraduates attend Webster University and enjoy a student-to-faculty ratio of 13 to 1. The Higher Learning Commission of the North Central Association of Colleges and Schools provides regional accreditation. Program Details: Webster University’s online courses meet the same rigorous academic standards as the traditional classrooms. Programs may be completed full-time or part-time. Students earn a Bachelor of Arts in Media Communications through the Communications and Journalism Department. Core curriculum grounds students in media theory, writing and production. Then, students select a 12-hour concentration. The degree requires a total of 128 credit hours. Tuition costs $665 per credit hour. Founded in 1950 by the California Southern Baptist Convention, California Baptist University enjoys its location in Riverside, California, near the Santa Ana River and just over an hour away from sunny Pacific Ocean beaches. This private, nonprofit university is home to over 6,400 undergraduates. The student-to-faculty ratio is 18 to 1. CBU is ranked #23 in Best Online Bachelor’s Programs by U.S. News & World Report. Regional accreditation is provided by the Senior College and University Commission of the Western Association of Schools and Colleges. Program Details: Students in the online degree program for a Bachelor of Arts in Communication Studies learn principles and practices of communication in a global context. The program is designed to teach ethical Christian standards for working professionals in a variety of communications fields. On average, the program takes 16 months to complete. Course requirements include six units in prerequisite English classes, six units of Lower Division requirements in the fields of Communications and Journalism, 36 units of Upper Division requirements in Communications, Journalism, and Leadership, and seven units of Additional Program Courses, titled “Overview of the Bible” and “Foundations of Christian Thought.” Tuition costs $529 per unit. Oral Roberts University is located in Tulsa, Oklahoma’s second largest city. Founded in 1963 by evangelist Oral Roberts, ORU is a nonprofit, charismatic Christian university located on 263 acres. Included in rankings for Best Colleges in the West by both the Princeton Review and U.S. News & World Report, ORU enjoys a student-to-faculty ratio of 16 to 1, with just under 3,000 undergraduates. The university has earned regional accreditation through the Higher Learning Commission of the North Central Association of Colleges and Schools. Program Details: The Bachelor of Arts in Communication online degree program at the College of Arts and Cultural Studies encourages a whole-life approach to communication. Students learn the theory and practice of communication, public speaking skills, problem solving, and more. This degree requires the completion of 128 credit hours, including 61 hours of General Education, 31 hours in Major requirements, 18 hours in Minor requirements, and 18 hours in Electives. Students choose from the following available minors: Bible, Church History, Church Ministries, General Business, Theological Studies, Evangelism and Missions, Government, Christian Caregiving, and Liberal Studies. Tuition costs $349 per credit hour. Ottawa University began in 1865 when Baptist missionaries worked in cooperation with the Ottawa Indian tribe to form a school for the children of the Ottawas. The university is a private, nonprofit institution with five physical campuses and one online campus. Headquartered in Overland Park, Kansas, OU’s online campus enrolls just over 300 undergraduates, almost all of whom attend part-time. The online programs boast an incredibly low student-to-faculty ratio of 4 to 1. Regional accreditation has been earned through the Higher Learning Commission of the North Central Association of Colleges and Schools. Program Details: The Bachelor of Arts in Communication degree program at Ottawa University aims to enhance students’ critical thinking skills to become expert problem-solvers in all types of communication issues and systems. This 100% online program includes 28 credits in Major Courses such as Speech Preparation and Delivery, Media Writing, and Communication, all at interpersonal, small group, organizational, and intercultural levels. The program culminates in a Capstone seminar course in Applied Communication. Minors of at least 20 credit hours are also available in 22 fields. Concentrations are available in 10 fields. Tuition costs $490 per credit hour. The University of North Dakota is the state’s oldest and largest university. Founded in 1883, six years before North Dakota achieved statehood, the first graduating class had just eight students. Now, the university enrolls over 11,500 undergraduates alone. More than 7,000 students are enrolled in off-campus and online courses each year. Located on the border of North Dakota and Minnesota, in the small city of Grand Forks, this four-year public university has a 19 to 1 student-to-faculty ratio. The Higher Learning Commission of the North Central Association of Colleges and Schools provides regional accreditation. Program Details: The Communication Program at the College of Arts and Sciences offers a 100% online degree program consisting of 125 credits for a Bachelor of Arts in Communication. Students can design a personalized program by focusing on an area of interest: Interpersonal Communication, Organizational Communication, Public Relations, Advertising, Print Journalism, or Media Studies. Additionally, the program has options for hands-on learning through internships and independent projects. Semester-based courses begin in the fall, spring, and summer. Tuition costs $331.85 per credit. Founded in 1968, Northern Kentucky University is located seven miles southeast of Cincinnati, Ohio, in a town in the hills of Northern Kentucky called Highland Heights. This four-year, public university is a fast-growing metropolitan institution where professors still know their students’ names. Nearly 13,000 undergraduates attend NKU and enjoy a student-to-faculty ratio of 17 to 1. The university has earned regional accreditation through the Commission on Colleges of the Southern Association of Colleges and Schools. Program Details: Communication Studies is one of the most popular bachelor’s degrees conferred at Northern Kentucky University. The fully online format has been developed by full-time faculty members from NKU’s Department of Communication and is ideal for new or transfer students. Students seeking a Bachelor of Arts in Communication Studies will develop interpersonal and intercultural communication skills. The Communication Studies program requires 24 hours of Core Courses, including classes such as Small Group Communication, Organization Communication, and Strategies of Persuasion. Students must also complete at least nine elective credit hours, three writing credit hours, and three computer credit hours. The program includes 37 hours of NKU General Education requirements, for a total of 120 total credit hours to earn the degree. Applicants must meet general admission requirements for NKU. Transfer students must possess a cumulative 2.5 GPA from their last enrolled college. Tuition costs $399 per credit hour. The Arizona State University public research university system is comprised of five campuses in the Phoenix, Arizona, metropolitan area. What began as a territorial school in 1885 has grown into a university system that enrolls over 67,500 undergraduates and offers over 90 online degrees. ASU is ranked #8 in Best Online Bachelor’s Programs by U.S. News & World Report. The Higher Learning Commission of the North Central Association of Colleges and Schools provides regional accreditation. Program Details: The W.P. Carey School of Business offers an online degree program for a Bachelor of Arts in Communication. The program includes skill and core courses required of all majors, as well as rigorous courses for the communication concentration. Courses aim to prepare students with business knowledge for a variety of communications positions. Applicants must meet general university admission requirements. The degree requires the completion of 120 credit hours, at least 30 of which must be completed at ASU. Tuition costs $523 per credit. Valley City State University is located in the rural town of Valley City, North Dakota, on a 55-acre campus surrounded by a forested hillside and the Sheyenne River. Founded in 1890 as a normal school, the VCSU campus is listed on the National Register of Historic Places. Over 1,200 undergraduates attend this four-year, public institution. The student-to-faculty ratio is 11 to 1. Regional accreditation has been provided by The Higher Learning Commission of the North Central Association of Colleges and Schools. Program Details: The Communication Arts Department offers a Bachelor of Arts or Bachelor of Science in Professional Communication. Three major concentrations are available: Corporate, Digital Media Management, and Media. The program requires 120 total credits, which includes 39 credit hours of General Education and 37 credit hours of Major Requirements. Offered completely online, the degree equips students in communication, problem solving, global awareness, and collaboration. Optional internships offer hands-on experiences in the industry. 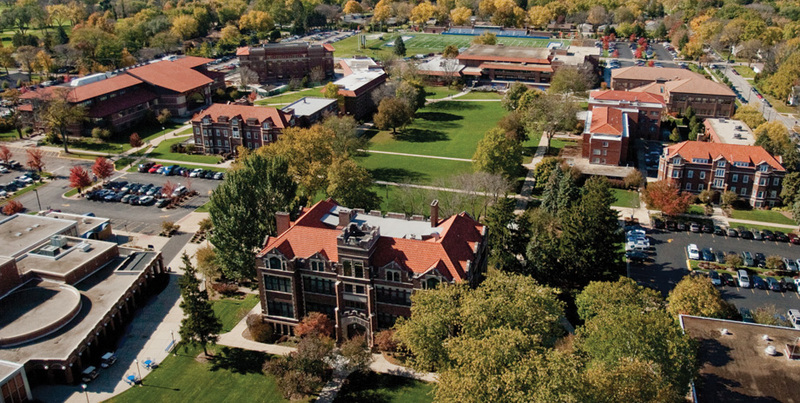 Regis University was founded in 1877 by exiled Italian Jesuits and is one of just 28 Jesuit Catholic colleges and universities in the United States. Centered in Denver, Colorado, this private, nonprofit university offers a values-centered education to over 5,000 undergraduates. The student-to-faculty ratio is 14 to 1. The Higher Learning Commission of the North Central Association of Colleges and Schools administers regional accreditation. Program Details: The College for Professional Studies offers an online degree program for a Bachelor of Arts in Communication. This program examines communication theory and application, equipping students to become ethical and effective communicators who think critically, lead and collaborate with others, and function across cultures. The degree requires 128 credit hours, which can include 12 credit hours of optional specializations in Conflict Management or Leadership, or the choice of a minor in a variety of disciplines. Applicants must have a high school diploma or equivalent, transferable college credit, and evidence of work experience. Classes begin four times per year. Tuition costs $460 per credit hour. Founded in 1891, Drexel University is a four-year, private, nonprofit institution located on a 74-acre urban campus in the University City neighborhood of Philadelphia, Pennsylvania. Nearly 17,000 undergraduates attend Drexel University and enjoy a student-to-faculty ratio of 10 to 1. Online degree programs began in 1996. Regional accreditation is provided by the Middle States Commission on Higher Education. Program Details: Students at Drexel University can obtain a Bachelor of Science in Communication through a fully online degree program. Applicants must have a minimum of 24 previous college credits (and a maximum of 135 quarter credits) to be admitted. This degree program includes common core courses in Communication Theory and Methods. Students also pursue a concentration in Corporate Communication and Public Relations with courses in Journalism, Mass Media and Society, and New Technologies in Communication. Classes begin four times per year. Tuition costs $457 per credit. Colorado State University-Global Campus is a four-year public institution in Greenwood Village, Colorado, offering 100% online courses. Nearly 7,000 undergraduates attend CSU-Global Campus. Ninety percent of graduates rate themselves as satisfied or very satisfied with their education here. The student-to-faculty ratio is 38 to 1. CSU-Global is ranked #7 in Best Online Bachelor’s Programs by U.S. News & World Report. Regional accreditation is provided by the Higher Learning Commission of the North Central Association of Colleges and Schools. Program Details: The School of Professional Studies at CSU-Global Campus offers an online degree program culminating in a Bachelor of Science in Communication. This 120-credit program is designed for students interested in leadership and management positions involving internal and external organizational communication. Twelve core courses include topics such as Communication in the Global Information Age, Strategic Communication, Managing and Leading Team Dynamics, and a Capstone in Applied Communication Strategies. In addition, the program offers 22 optional 15-credit-hour specializations which allow for a tailored education. Courses are 100% online courses, run year round, and start every four weeks. Tuition costs $350 per credit. Embry-Riddle Aeronautical University-Worldwide is headquartered in Daytona Beach, Florida, but has more than 125 campuses around the world. This private, nonprofit institution enrolls just under 10,000 undergraduates, most of whom attend part-time and are over the age of 25. Students enjoy a low student-to-faculty ratio of 12 to 1. Embry-Riddle is ranked #5 in Best Online Bachelor’s Programs by U.S. News & World Report. The Commission on Colleges of the Southern Association of Colleges and Schools provides regional accreditation. Program Details: Embry-Riddle Worldwide has provided distance education for decades. Flexible online learning allows for monthly start terms and staggering courses. The university offers a Bachelor of Science in Communication for 120 credits. This degree is ideal for technical and science-minded students who want to learn about scientific communication in today’s media-rich society. Coursework includes General Education, Communicate Core, Communication Specified Electives, and Open Electives. The degree program ends with a capstone course, during which students complete a senior project or internship. Tuition costs $355 per credit hour for civilians and $280 per credit hour for military personnel. The University of Wisconsin-Superior is located in the Duluth-Superior metro area of Minnesota and Wisconsin, on the western tip of Lake Superior. This small public university enrolls just under 2,500 undergraduates and boasts a student-to-faculty ratio of 16 to 1. There are 560 online students. The university is ranked #23 in Best Online Bachelor’s Programs by U.S. News & World Report. Regional accreditation is provided by The Higher Learning Commission of the North Central Association of Colleges and Schools. Program Details: The University of Wisconsin-Superior’s Distance Learning Center facilitates an online degree program with a Communicating Arts major and a minor in Geography, Psychology, Philosophy, Library Science, or an Individually Designed Minor. The major includes 33 credits with core coursework in areas such as Intercultural Communication and Interpersonal Communication. Students also take a variety of electives in Theatre, Media, and Communicating Arts. A final project-oriented course called the Capstone Experience completes the program. Appalachian State University’s 400-acre main campus is nestled in the Blue Ridge Mountains of North Carolina, in the town of Boone. One of 16 public universities in the University of North Carolina system, Appalachian State University enrolls over 16,000 undergraduate students and enjoys a 16:1 student-to-faculty ratio. The distance education program alone enrolls over 1,500 students. The Commission on Colleges of the Southern Association of Colleges and Schools provides regional accreditation. Program Details: Through the distance education transfer program, students can earn a Bachelor of Science in Communication Studies. This cohort-based course of study enrolls 20-25 students per year, who transfer in a minimum of 50 hours, including specific Lower Division courses in Communication. The degree requires 122 hours and includes a minor in either Business or Health Promotion. Courses are delivered in 8-week sessions, so students who attend full-time can expect to complete the program in 5 semesters. Applicants must first be admitted to the university, then into the cohort.